Infinity Spa and Nails is heading to RTC West. It will neighbor Mezeh Mediterranean Grill, which opened in July at 12130 Sunset Hills Road. 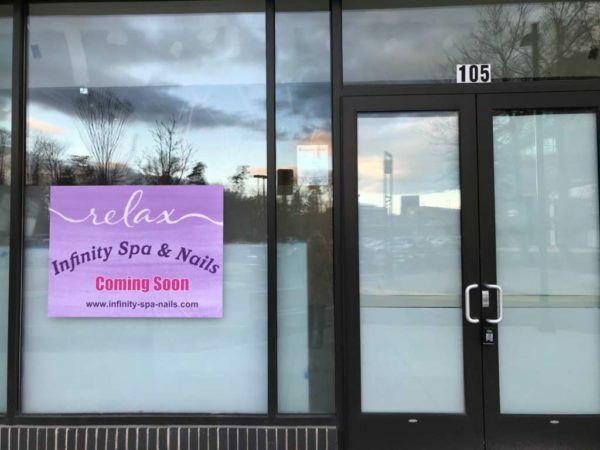 The salon plans to offer manicures, pedicures, massage, facials and skin treatments, according to its website. A one-hour massage or facial starts at $297. The four-hour package — complete with massage, wrap, facial and pedicure — costs $500.